An establishment Republican “strategist” went on MSNBC to decry president Trump by basically saying that if he had a time machine, he would rather travel back and change Trump rather than stop Adolf Hitler. The Federal Reserve now has its first openly gay female bank head. Hooray for the Fed! The world is teetering on the edge of a global financial meltdown. That’s a bit of a downer, isn’t it? But unfortunately it’s true. Global debt has risen to a new record of $217 trillion. That’s almost a quarter of a quadrillion – an unimaginable number. Even worse – it may be too late to fix it. The Government is touting 4.9% unemployment and the Federal Reserve thinks this is great. So great in fact that they are going to start raising interest rates. But this figure is – surprise, surprise – a lie. Let’s take a look at what it really is. Want to see what our fabulous healthcare system, Obamacare, will look like soon? Just take a look at the British socialized, single payer system and the latest reports of rationing. This is what we have to look forward to. A County in the state of Texas is not happy with a gun rights advocate who has written to them complaining about not being to carry his weapon in the county courthouse complex. They’ve evidently decided to make an example of him. I was speaking to a customer at my office last week. He is as conservative as anyone and fairly well read. He comes by to pick up supplies every once in a while and invariably the conversations turn to politics. That day, we discussed everything from incandescent light bulbs to Obamacare. He began to turn the conversation into a complainathon. He bemoaned the bond buying scheme by the Federal Reserve, saying that the $85 billion a month money flood can’t possibly be sustained. It was then that I told him the great news – that the Fed was paring back to a mere $75 billion a month. Is Fed Now Making Its Next Big Mistake? Ben Bernanke has a message for Wall Street and Main Street: Don’t worry, expect no big changes in Fed policy — unless the economy changes in a major way. Don’t hold your breath. No question, the nation’s top banker has a tough job convincing investors, producers and lawmakers he’s doing the right thing for the economy. The problem is, the Fed has a long track record of making big mistakes, but often doesn’t know until years later. And it might be making one now. While some speak of the Fed’s “success,” holding interest rates at zero and buying $85 billion a month in Treasuries — the Fed now owns more than $3.5 trillion in U.S. debt, up from $900 billion just a few years ago — this hasn’t brought us a normal economic recovery. Indeed, despite the incredible stimulus, inflation remains below the Fed’s 2% target. GDP growth is averaging an anemic 1.7% in the past year. All told, the economy is just 3% bigger than at the end of 2007, when the recession began. By comparison, in a normal recovery GDP is usually up 16% or more this far into a recovery. Unemployment of 7.6% isn’t close to satisfactory. And since last year all of the net U.S. jobs created have been part-time positions; it’s obvious we’re in an unprecedented employment crisis. Is it QE or the Titanic? For those unfamiliar with QE three, it is a program wherein the Fed purchases $85 billion of government debt; $45 billion in bonds and $40 billion in mortgage-backed securities. In a nutshell, unlike the other two QE’s, which were one-time massive influxes of money into the economy, and did no good, QE3 is a scheme that calls for the feds to spend that $85 billion every month. And that’s been happening month in and month out since September 2012. Wow, the Federal Reserve must have a lot of money. Well, no… No it doesn’t and it doesn’t have to. None of this is real. That’s not quite accurate, but it’s close. The Fed, in fact has no money. What it does have is a printing press. When it needs another $85 billion, it simply cranks up the press. Just like magic. No, not like magic. More like an illusion. Someone walks over to a computer and adds that many dollars to the banks, with a few clicks of the keyboard. Here is a scenario that may explain what the Fed is in fact doing to our economy. You are a manufacturer of widgets. Everything is going great until your patent runs out. All the sudden the market is flooded with widgets. Because everyone is now selling widgets it drives the price down due to the glut of product. The market reacts the same no matter what the product, whether it is widgets or dollars. It’s great for the consumer of widgets, but a glut of dollars simply decreases the buying power of the consumer. You may have noticed there was a Fed meeting on Wednesday of this week. Okay, maybe you didn’t, but you probably noticed the stock market rocketing up 155 points that morning, then suddenly around 2 PM reversing itself and ending the day down some 87 points. That’s a 242-point swing. Why did it happen? 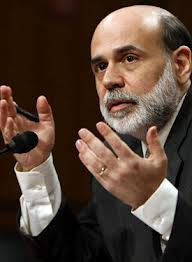 The Fed merely hinted that it might consider tapering off it’s quantitative easing at some point. In other words, slowing the flow of easy money. The Fed as well as the Wall Street “experts” claim that when they do start to taper off the easy money influx, the geniuses at the Fed will do it so slowly we will hardly notice. Really! Welcome to the U.S.W., The United States of Weimar. Hope you brought your wheelbarrow. You’re going to need it. After QE3 kicks in and the Fed starts printing money like there’s no tomorrow, the dollar won’t be worth spit. A member of Congress who has been pushing for more transparency, including an audit, of the Federal Reserve for years, says the announcement Friday that the quasi-governmental agency is going to print more money to try to help the U.S. economy isn’t surprising. Nor is it smart, sai d U.S. Rep. Ron Paul. The Federal Reserve said today it is launching its third attempt to revive the U.S. economy, once again by printing more money. According to a report in CNN, this edition of the program will involve having the government buy $40 billion in mortgage-backed securities per month – with no set end date. 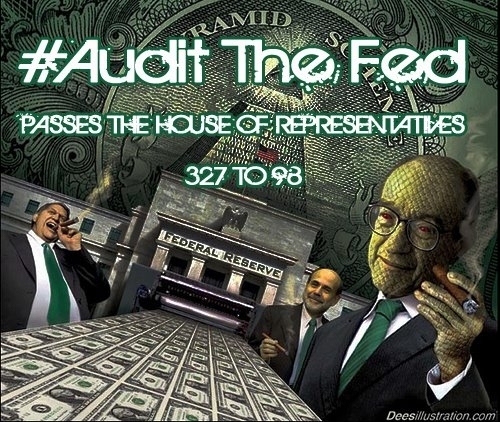 There is a petition process set up to urge members of Congress to act on plans to audit the Fed. The report says the central bank’s objective is to keep interest rates low, and thus trigger more spending and more hiring. The Fed has been trying to impact the economy just about since Barack Obama took over the White House, but its usual tool – lowering interest rates – is ineffective now since those rates have been approaching zero for most of that time. “For all of its vaunted policy tools, the Fed now finds itself repeating the same basic action over and over in an attempt to prime the economy with more debt and credit,” Paul said. “But this latest decision to provide more quantitative easing will only prolong our economic stagnation, corrupt market signals, and encourage even more misallocation and malinvestment of resources. “Rather than stimulating a real recovery by focusing on a strong dollar and market interest rates, the Fed’s announcement today shows a disastrous detachment from reality on the part of our central bank. Any further quantitative easing from the Fed, in whatever form, will only make our next economic crash that much more serious,” he warned. 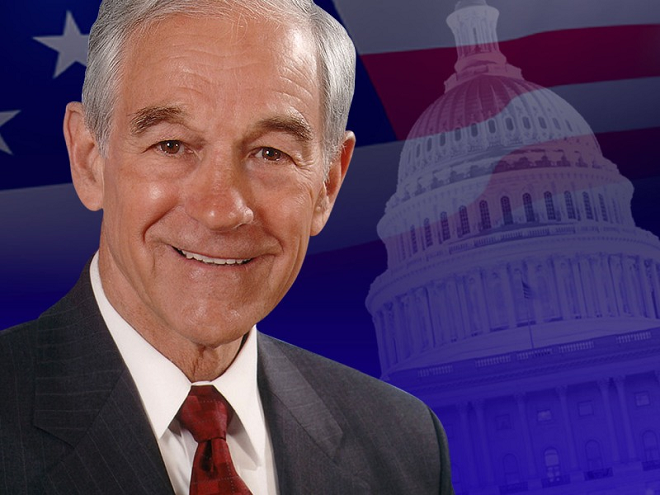 Paul for years has advocated a full audit of the Federal Reserve, which routinely shrouds its actions in secrecy. Just this week, the U.S. House on a 327-98 vote adopted a bill that would set an audit process in motion. It now is going to the Senate, where Sen. Harry Reid previously has been receptive to the idea, although there’s no word whether he’ll take time for it now. Paul argued that the Federal Reserve simply is illegal. 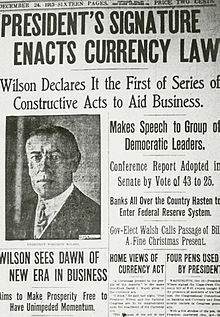 Some of his concerns have revolved around Article 1, Section 8 of the Constitution, which assigns to Congress the right to coin money. And he’s proposed repeatedly the idea of auditing the Fed to determine exactly what it has been doing and then begin making corrections. With a book titled “End the Fed,” he’s made no secret of his ultimate goal.